Launched in 2017 the Pro Sensor Elite® Manual Inflator replaces the Pro Sensor® Manual Inflator. Being 3mm shorter and 11 grams lighter than the original Pro Sensor® Automatic Inflator the Pro Sensor Elite® Manual Inflator also benefits from a more rounded design and improved manual lever retention mechanism. 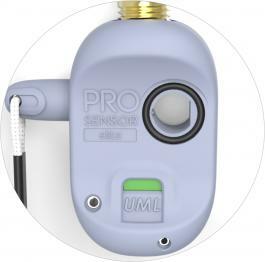 The Pro Sensor Elite® Single point Indication system is also on this Manually Activated Only version, affording the user one point of status indication to confirm if the unit has been manually activated. This unit also provides the added benefit of detecting if the CO2 cylinder has been pierced, eradicating the possibility of accidentally fitting an empty gas cylinder during the service procedure. 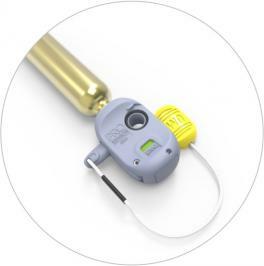 The indication system on the Pro Sensor Elite® Manual Inflator allows the user to establish if the system has been fired including the added benefit of quickly identifying if a pierced Co² cylinder is accidentally refitted to the inflator during the servicing procedure. 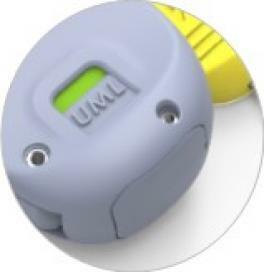 The CO2 cylinder must be checked each time you don your lifejacket to ensure it is tightly screwed in by hand. Red indicates it is missing or has been pierced. Partially red indicates the CO2 cylinder is not screwed in fully. 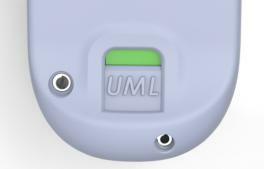 THE INDICATOR MUST BE FULLY SHOWING GREEN WITH A FULL CO2 CYLINDER SCREWED IN HAND TIGHT FOR CORRECT OPERATION. Click the tab below for further information on re-arming.